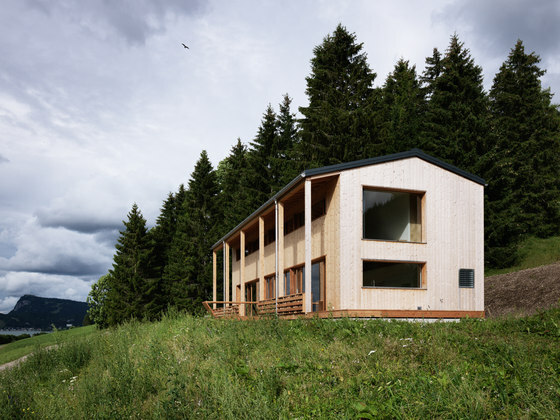 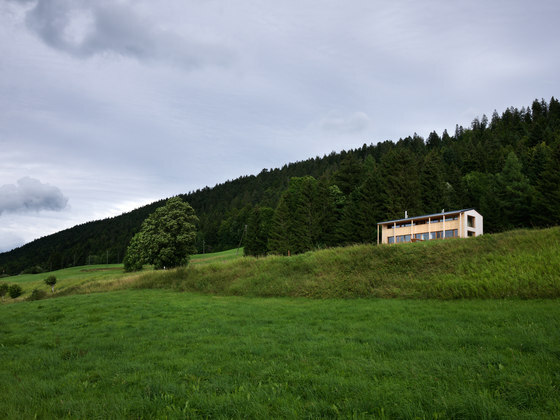 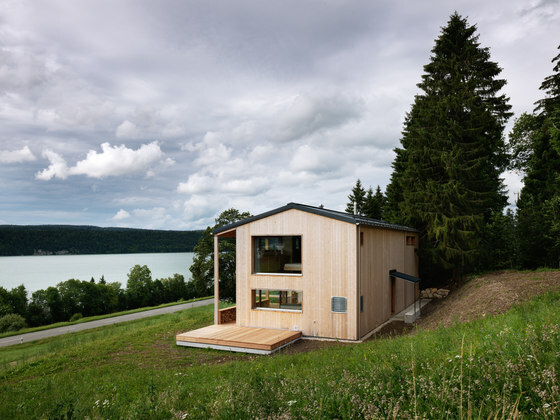 The house was built for a couple with one child who wanted a simple house with all main rooms overlooking the lake, Lac de Joux. 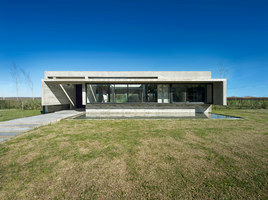 The location and orientation of the terrain have made it possible to fulfill their wish. 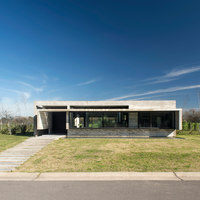 Another main requirement by the clients was to have a contemporary house while respecting reasonable construction costs. 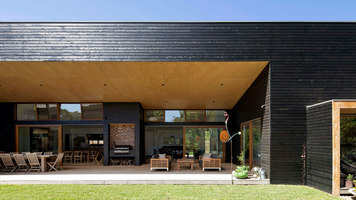 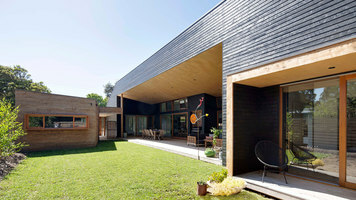 The architects choose to use a prefabricated timber construction system for the facades and gables. 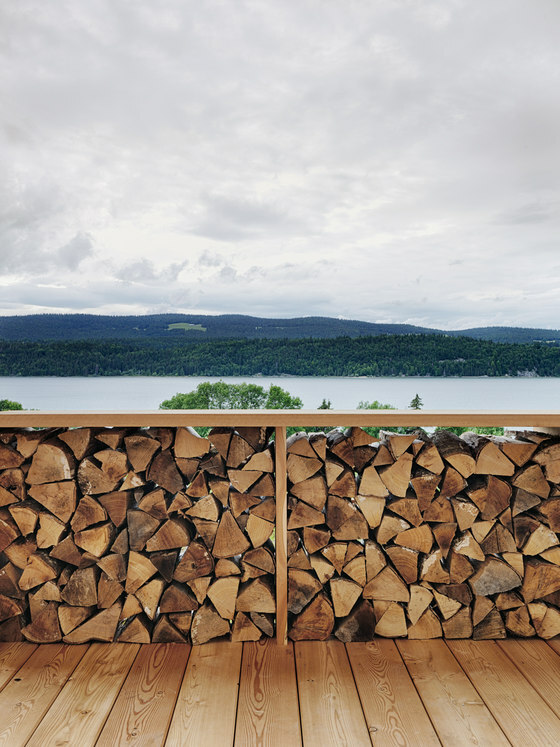 These elements were built directly in the carpenter’s workshop, being later transported by truck on-site. 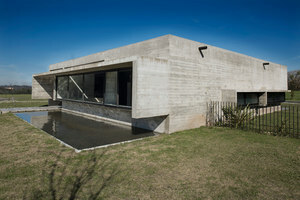 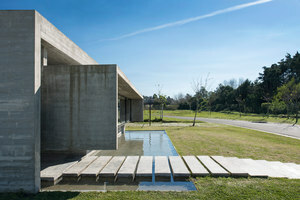 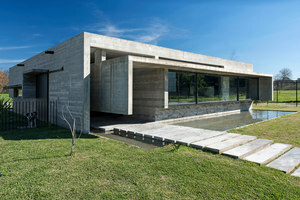 The "skeleton" of the house is made of concrete. 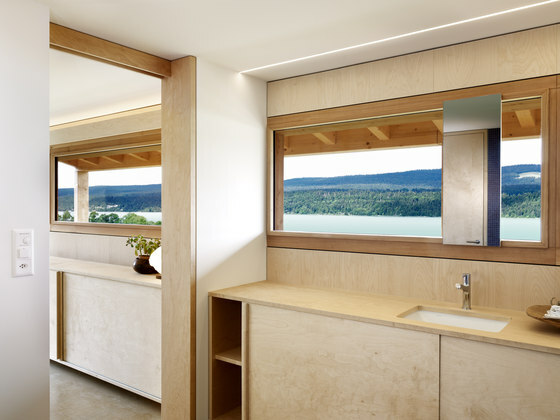 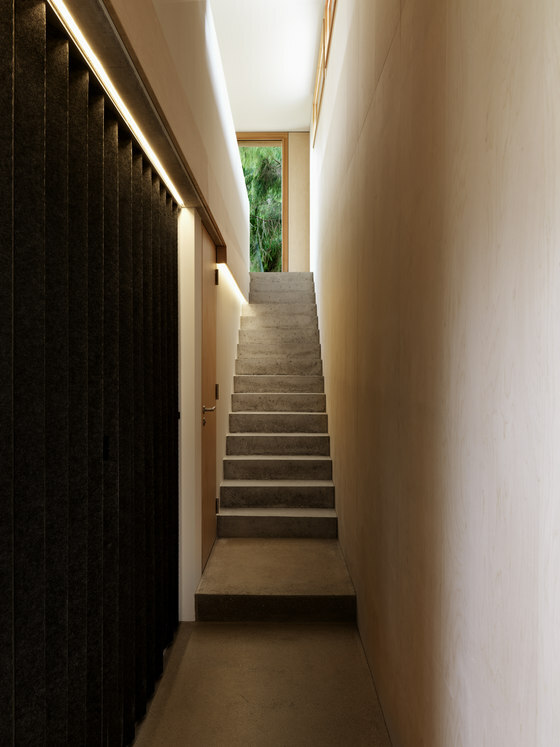 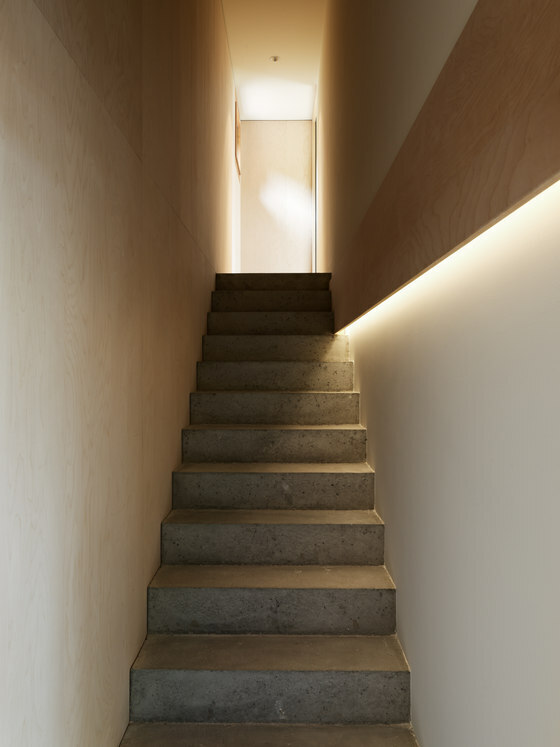 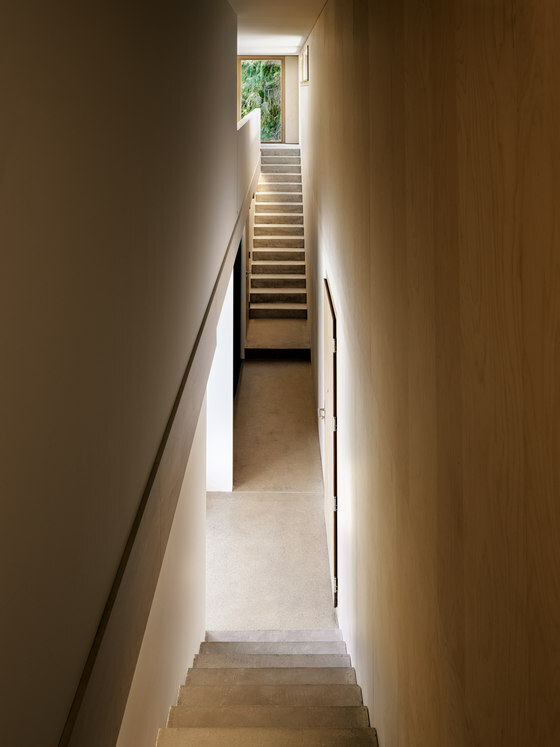 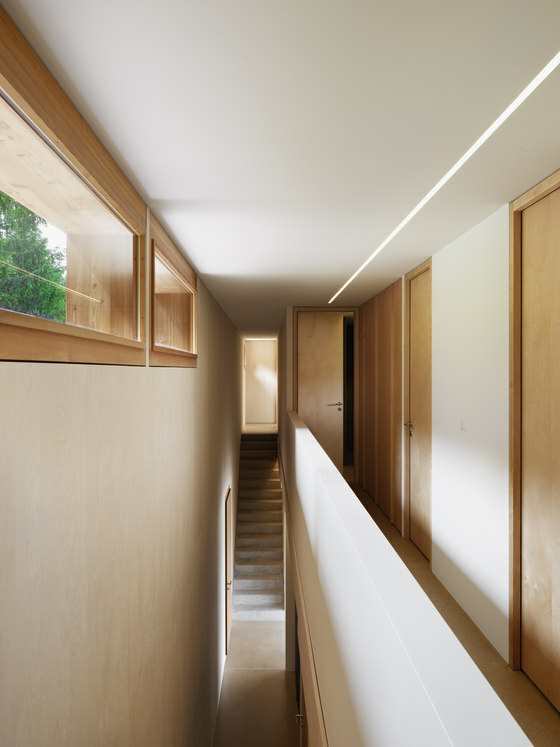 After the masonry part was completed, the prefabricated wooden facades were attached against this interior concrete structure. 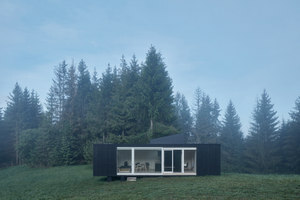 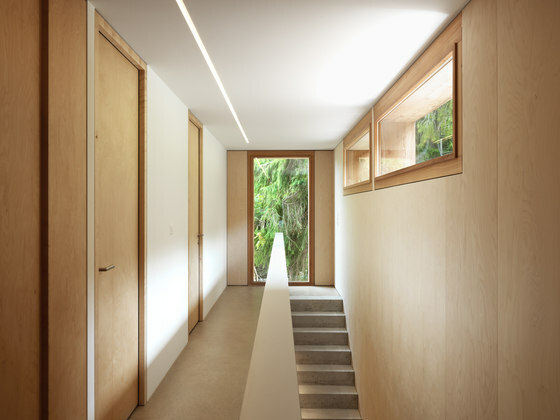 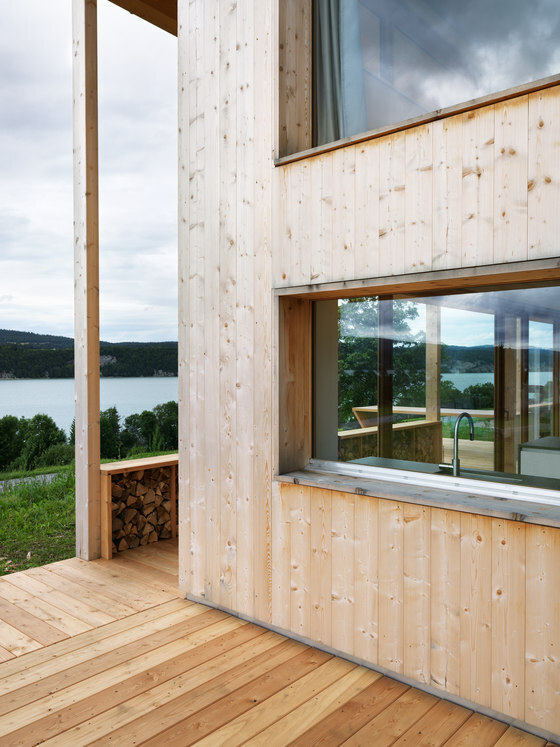 All facades of the house are made of a spruce structure with fiberglass insulation and covered with spruce boards. 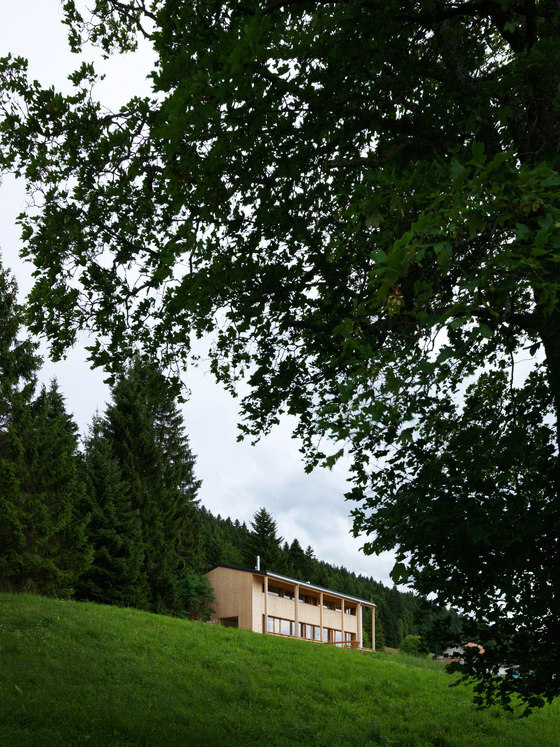 Spruce trees can be found in abundance in the regional forests. 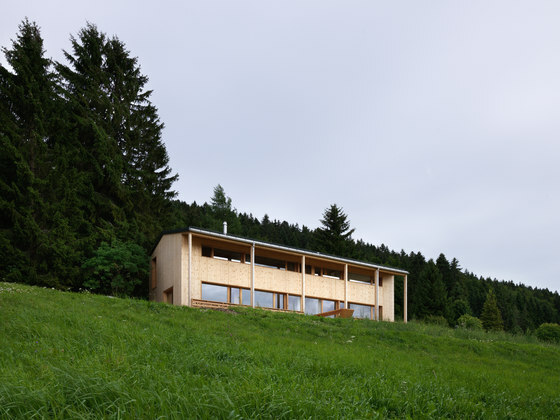 By using this method the architects could build the house at reasonable costs, with low ecological impact while reducing the construction time. 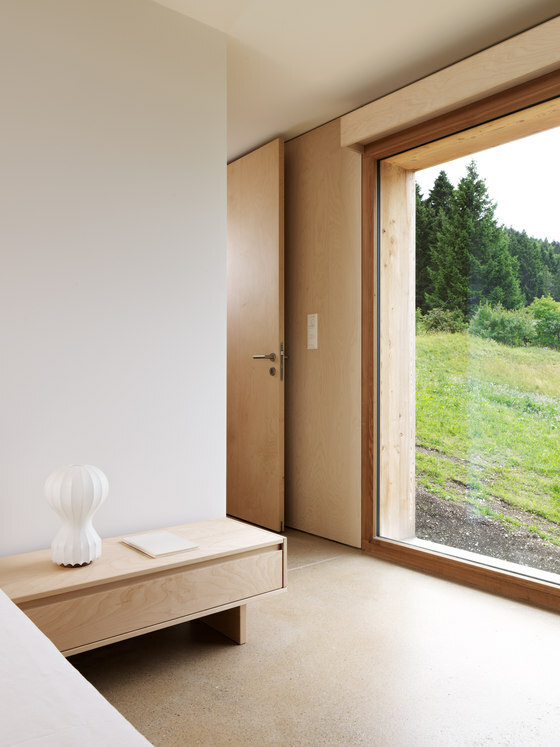 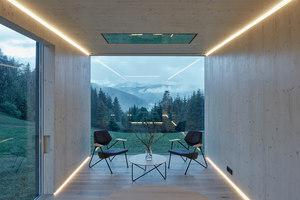 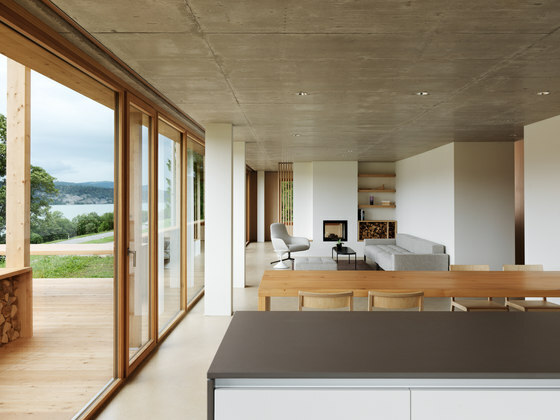 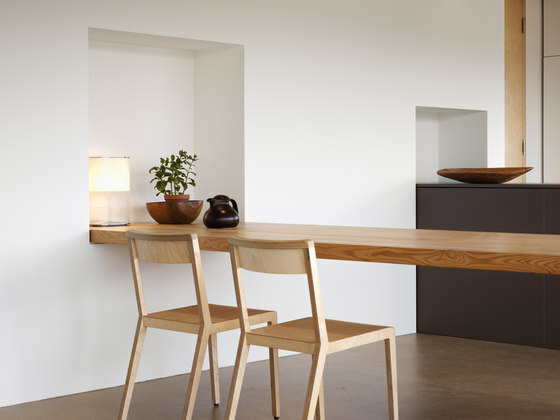 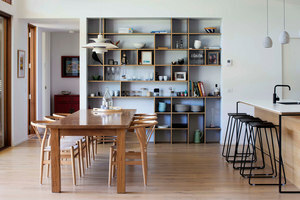 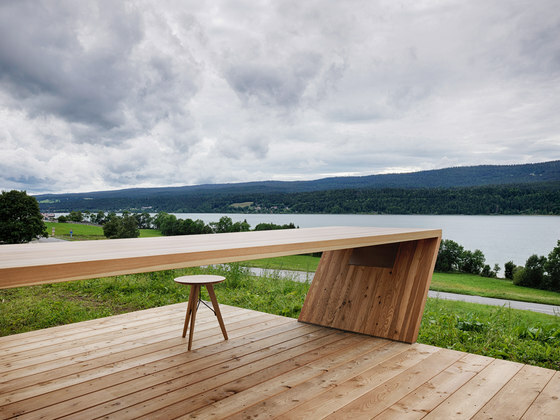 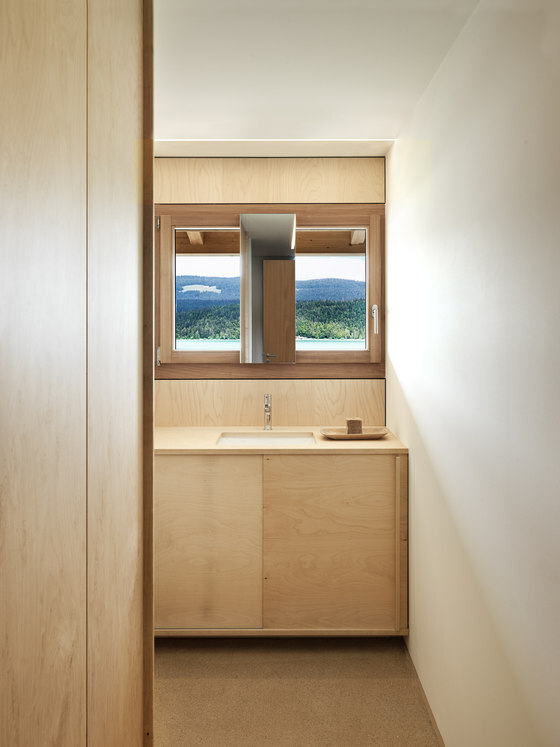 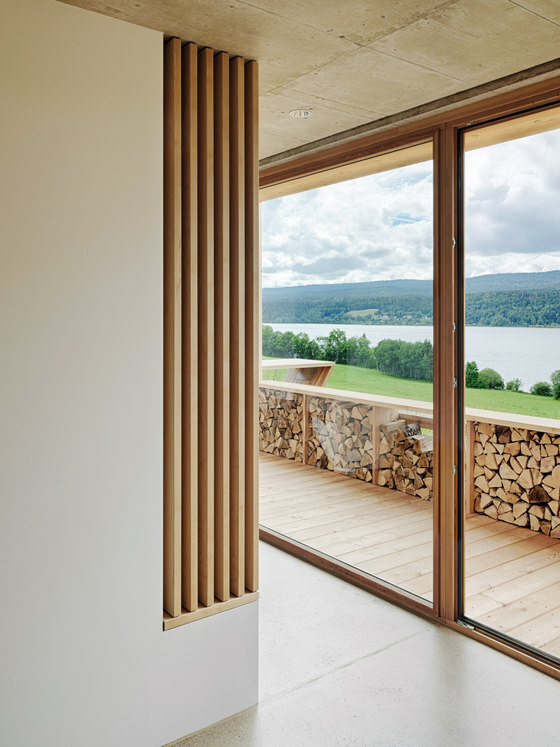 The furniture (tables, shelves, cupboards, … ) were designed by Ralph Germann architectes and are made of birch veneer, except the indoor and outdoor dining tables which are solid larch.